Roger Kroeger, a former broker with Invest Financial Corporation in Ft. Lauderdale, Florida, has been accused of misappropriating $300,000 from a 92 year-old woman in Pompano Beach, Florida. Kroeger and his sister have been accused of embezzlement and money laundering of the woman who had been a client of his for over 30 years. Allegedly, two ministers who checked on the woman daily, found suspicious activity on her financial statements including checks written for large amounts. One was for Claudia Mahon, the sister of Roger Kroeger, for $90,000. Kroeger stated that it was a loan from his client to his sister, but the elderly woman stated she had never met Ms. Mahon. A few days later, a cashier’s check for $90,000 marked “loan repayment” arrived for the elderly woman from Ms. Mahon. Allegedly, Kroeger embezzled $290,000 of the woman’s money and put it in his sister’s account. At least $10,000 was used to make improvements on his home. He pleaded guilty to elderly exploitation, organized scheme to defraud, money laundering, grand theft and forging checks. According to public record with the Financial Industry Regulatory Authority (FINRA), Mr. Kroeger was previously registered with Shearson Lehman Hutton from July 1986 until July 1988, Glenfed Brokerage Services in Glendale, California from April 1989 until September 1990, and Invest Financial Corp in Ft. Lauderdale, Florida from October 1990 until December 2017. He was terminated from Invest for admitting “to facilitating a loan to his sister from a senior client, and was subsequently charged with multiple felony offenses in connection with these circumstances.” He has one criminal pending charge against him, and is not currently registered as a broker within the industry. According to a Disciplinary Proceeding with the Financial Industry Regulatory Authority (FINRA), former SW Financial broker Douglas Leone was accused of making potentially unsuitable and excessive transactions in multiple customer accounts. Mr. Leone also failed to appear and provide testimony regarding FINRA’s investigation of him. These are against securities laws and internal firm rules. Excessive trading, also referred to as “churning,” is a particularly egregious form of misconduct by a broker. It is when the broker trades in and out of securities, sometimes in the same stock on the same day, in order to generate large commissions for himself. This typically results in the customer having to pay unnecessary fees. SW Financial may be held liable for investment losses because the firm has a reasonable duty to only recommend and sell those investments that are suitable for customers, based on their age, net worth, investment objectives and investment sophistication. If he does not, the firm may be responsible for money losses in the FINRA arbitration forum on a contingency fee basis. Douglas Anthony Leone, according to public FINRA records, was previously registered with Gruntal & Co., Gaines, Berland Inc., Renaissance Financial Securities Corp, La Jolla Capital Corp, Foster Jeffries Securities, Cambridge Capital, Whitehall Wellington Investments, Advanced Planning Securities, Joseph Stevens & Company, Basic Investors, Newport Coast Securities and Salomon Whitney Financial (SW Financial) in Melville, New York from March 2013 until March 2017. 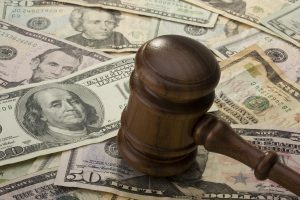 He has seven customer disputes against him, alleging failure to sell and misrepresentation, fraud and deceit, breach of contract, breach of fiduciary duty, unsuitability, unauthorized trades, failure to correct, excessive commissions, and churning. He has been suspended, and is not currently registered as a broker within the industry.